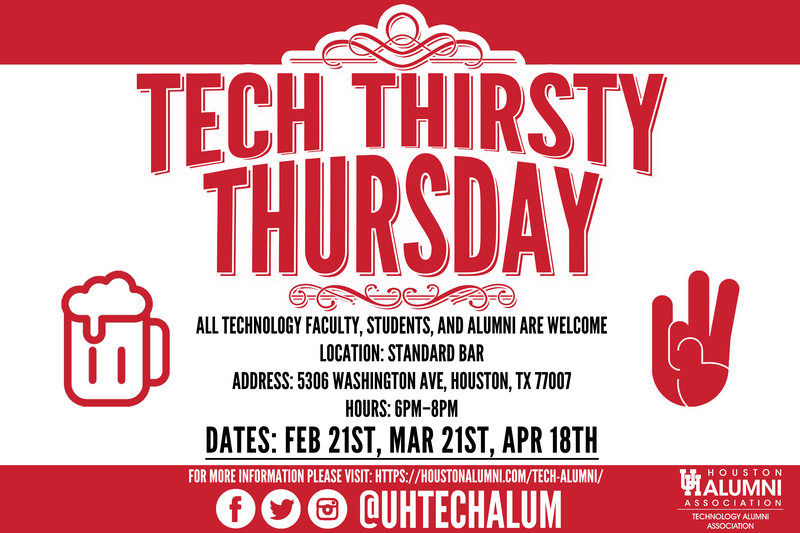 Come join our College of Technology Alumni at a combination Watch Party and Thirsty Thursday! Social Media Recognition: LinkedIn, Facebook, Twitter, Instagram, and website. Your company logo at the event as a sponsor – Banners, giveaways with your logo (if available from your company), and informationals. Your staff members are welcome to attend regardless of UH affiliation.